Brittany Young read Uber’s boast that “there’s a strong correlation between Uber’s presence in cities and a reduction on drunk driving,” and decided to find out if that claim held true in Virginia. Young ’20 was one of four William & Mary students – all women and all economics majors — chosen this year for the Summer Research Program sponsored by the Schroeder Center for Health Policy, whose mission is to increase health policy research at the university involving data analysis, writing and presentation. The fellowships also support interaction between students and faculty at W&M and Eastern Virginia Medical School and its Brock Institute for Community and Global Health. The other three W&M students were Carmen Lehnigk ’19, who studied whether the Affordable Care Act had spillover effects on Virginia Medicare beneficiaries; Tori Reese ’20, who studied how changes in cigarette taxes in Virginia localities affect smoking prevalence; and McKinley Saunders ’19, who used GIS analysis to study need-based donor response in Nigeria. Another fellow, Lindsay Gould ’17, researched the effectiveness of current smoking cessation resources for Norfolk public housing residents. A W&M alumna, she attends Eastern Virginia Medical School. Young’s research focused on two main areas: the impact of Uber’s entry into Virginia on the rates of motor-vehicle accident hospitalizations and the likelihood that fatal motor vehicle accidents were alcohol involved. That would coincide with Uber’s customer base, people more likely to use a smartphone application to obtain transportation rather than hailing a taxi. Uber also charges lower fees than taxis, which would give it a larger consumer base. That’s how the authors of a California study explained why Uber was associated with declines in alcohol-related traffic fatalities there. The California study used that state’s highway patrol integrated traffic report system and showed that Uber made a statistically significant difference in alcohol-related fatalities between 2009 and 2014. To measure Uber’s effectiveness in Virginia, Young implemented a “difference-in-differences” methodology. She compared counties where Uber entered the market to counties where it did not. In both types of counties, she compared motor vehicle accident outcomes before and after the time period when Uber entered. According to Young’s research, Uber first entered some markets in Virginia in 2013 and over time has expanded to more areas. “This provides the variation needed to determine a potential causal effect using econometric methods such as difference-in-differences regression analysis,” Young explained. If Uber actually caused accidents to decline, she expected to see that hospitalization rates for motor vehicle accidents fell by a lot more in the counties where Uber entered than in the counties where it did not. She specified her models to also account for differences in other variables such as percentage of male drivers, drivers under the age of 25, seat-belt usage, inclement weather, lighting conditions outside and weekend driving, when alcohol-related partying would be more prevalent. On average, from 2012 to 2016, the motor vehicle hospitalization rate was 63 hospitalizations per 100,000 residents per county, across all Virginia counties. 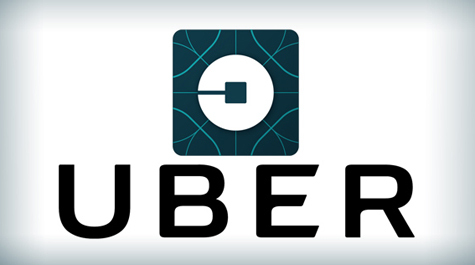 Young’s results suggest that the entrance of Uber was associated with an increase of 1.1 motor vehicle accident hospitalizations per 100,000 residents. Young doesn’t assert a causal relationship, and this result is statistically indistinguishable from zero. Nonetheless, it runs counter to Uber’s claim. What Young did not find was evidence that Uber lowered motor-vehicle hospitalizations or lowered the chance of alcohol-involvement in fatal accidents. Young hypothesizes that the price of Uber may not be low enough to change behavior on a large scale. She said that she hopes her research will lead to other studies to determine if these services are changing road safety.